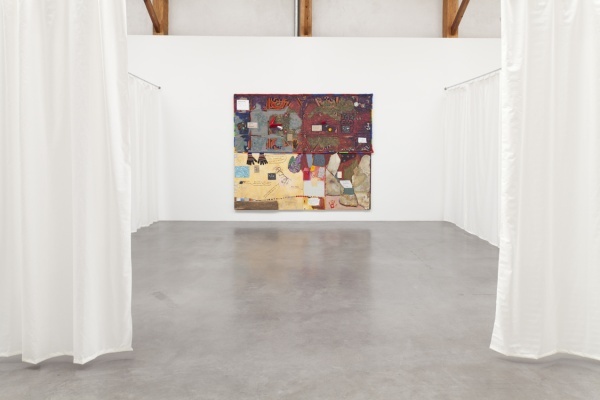 Kurimanzutto presents Jimmie Durham ‘s “Varios y diversos”, his second exhibition at the gallery. On this occasion the artist shows a brief compilation of his career, including works from 1970 to 2013. 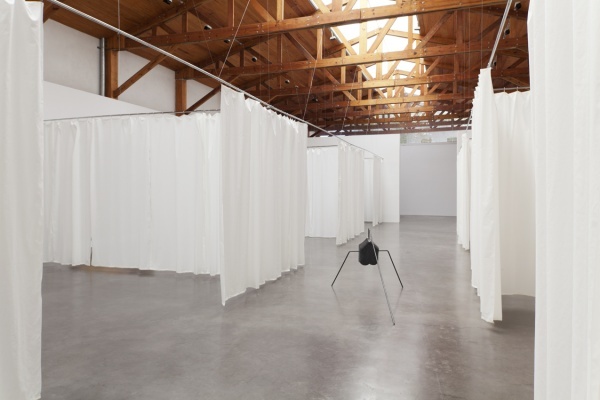 The space of the gallery has been divided by drapes simulating hospital cubicles, so that each piece has its own exhibition area. 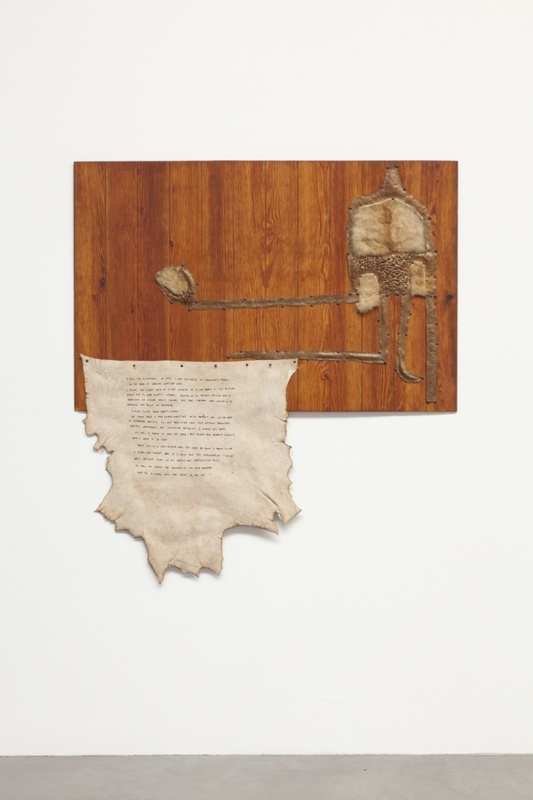 Jimmie Durham is a Native American of the Cherokee tribe born in 1940 in Arkansas. His first approaches to art were in the fields of theatre, literature and performance in the progressive African-American circles of Texas in the 60’s. He moved to Geneva in 1969 and enrolled in the École des Beaux-Art where he worked on sculpture and performance. Together with three other sculptors he formed the Draga group, which explored how can art become more integrated into public life. In 1973—the year of the occupation of Wounded Knee, the symbolically significant hamlet on South Dakota where the US-Army perpetrated a massacre of Indians in 1890—Durham moved back to the US to become involved in the American Indian Movement as director of the International Indian Treaty Council and its representative at the United Nations, becoming the first official representative of a minority within this organisation. In 1980 he focused his attention back to art, but remained concerned with the image of Native Americans and thematize it in many of his essays. Durham gained notoriety within the New York art scene, but found his work was seen as “Indian art” and failed to encourage fundamental—political or artistic—discussions. Disappointed by this misunderstanding and by the American government’s intractable policies regarding the Indian movement he left the US in 1987 and moved to Cuernavaca, Mexico. Where he was based until moving back to Europe in 1994. Since then, the artist has lived in Brussels, Marseille, Berlin, and Rome. Jimmie Durham works with diverse materials, both natural and artificial, but he is particularly drawn to those that have been used throughout history to create tools, such as bones, wood, feathers, and stones that he finds and collects while taking walks. For him stone is the ultimate sculptural form, not only because one can carve a representation on to it, but also because each stone is in itself a slowly changing entropic sculpture, shaped over time by the nature elements. He has taken stones into all kind of situations, even as a narrative figure such as in Pedro Delrio (2013) —shown in this exhibition. The versatility with which Durham makes use and puts together all kind of objects, images, and words is evident in works like Various Elements from the Actual World (2009) and I Will Try to Explain (1970-2012) —both presented at kurimanzutto. 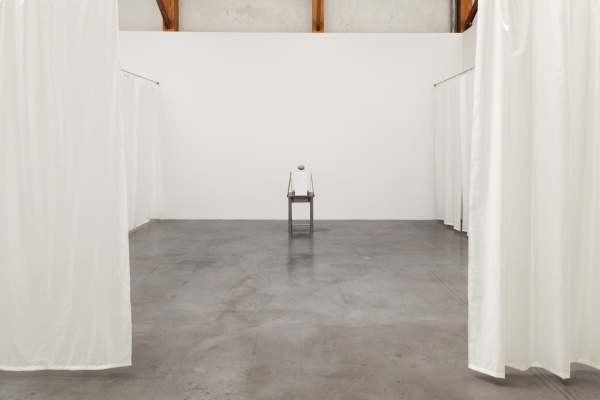 His work is an ongoing conversation, and the humour that permeates his sculptures is a tactical strategy that seems innocuous but is, in fact, highly critical. It poses big questions that consider the history of oppression, the futility of violence, and the powerlessness of the minorities in the world.